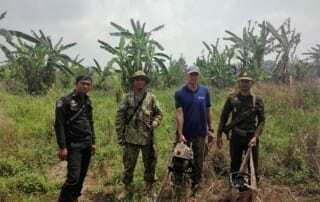 Wildlife Alliance provides on-the-ground protection to one of the last unfragmented rainforests in Southeast Asia. The Cardamom Rainforest Landscape is a critical part of the Indo-Burma Biodiversity Hotspot which supports populations of >50 IUCN Threatened species of vertebrates and serves as the region’s most important watershed, climate regulator and carbon sink. 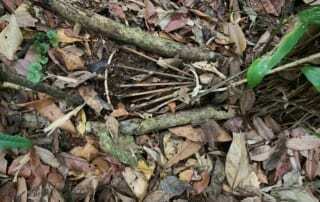 South East Asia is at the epicenter of the global extinction crisis and the majority of the region’s Protected Areas are ‘paper parks’ with insufficient resources, capacity, or supervision to achieve effective species conservation. Wildlife Alliance delivers a unique and successful model of hands-on direct protection to forests and wildlife which focuses on creating and managing high performance teams of forest rangers. Wildlife Alliance manages 8 ranger stations with an average of 8,000 of patrols covering 119,552 km each year. 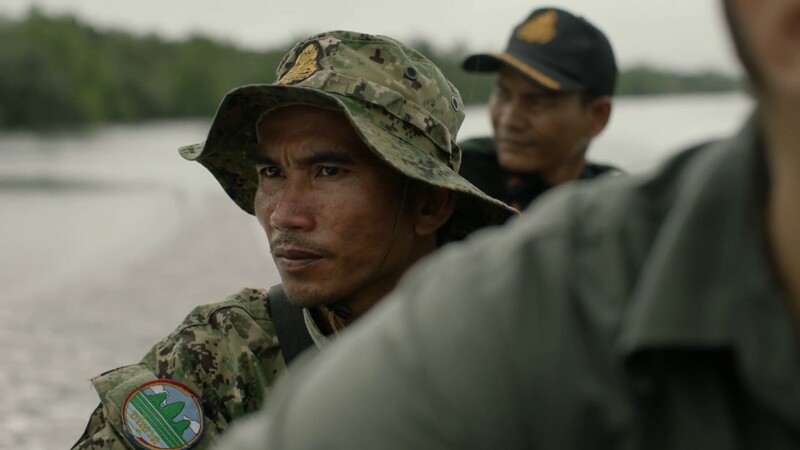 These rangers have the responsibility of arresting poachers, dismantling sawmill operations inside protected forest, inhibiting people from grabbing forest land for their private property, and confiscating bulldozers and chainsaws used to illegally cut timber. When offenders are caught, Wildlife Alliance takes a hands-on approach by accompanying offenders to court and following up on all court cases to ensure the proper legal procedures are applied. 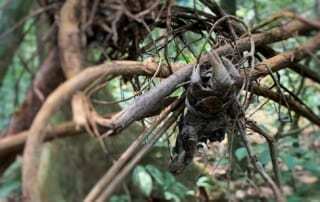 Constant vigilance is the cost of keeping the Cardamom Rainforest safe and maintaining its high level of biodiversity. 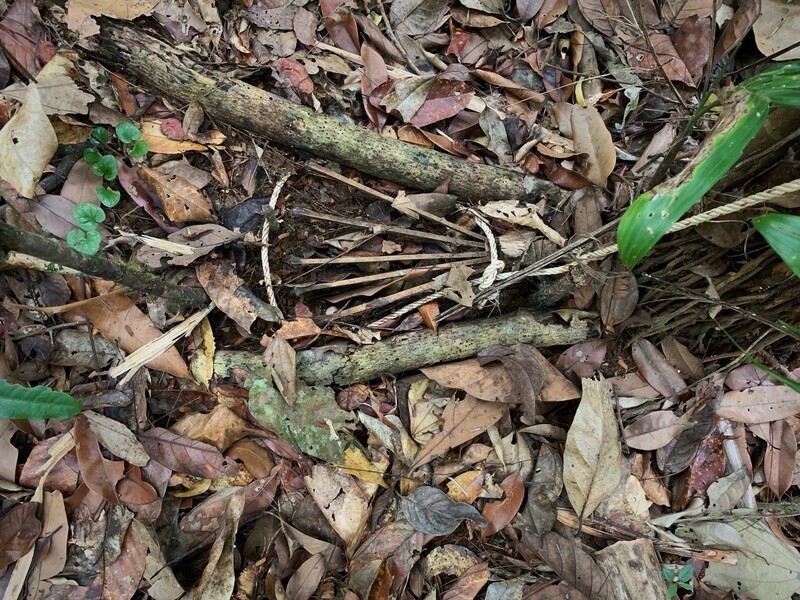 Without Wildlife Alliance’s continued support, the Southern Cardamom tropical rainforest is at risk of being cleared for conversion to agriculture, industry and real estate sales. 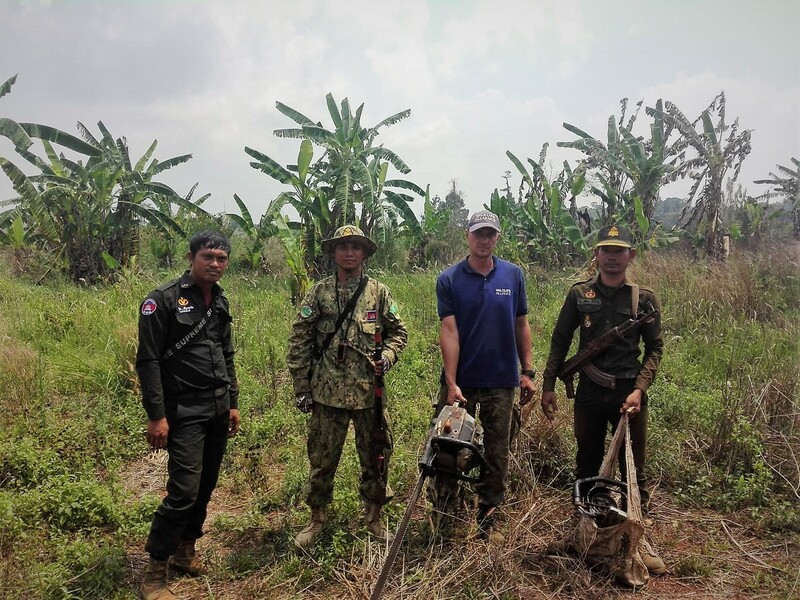 Wildlife Alliance approach has proven successful in maintaining continuous rainforest cover in the Cardamom Mountains, achieved zero elephant poaching since 2006, and supported the recovery of populations of ungulates and small-medium carnivores. 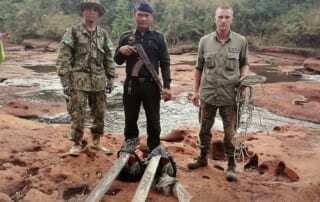 Dedicated law enforcement rangers patrol the Cardamom Mountains by ground, water and air. Each station is on alert 24 hours a day and often spend days at a time camping in remote areas of the forest. They remove snares, confiscate illegal timber and chainsaws, dismantle illegal charcoal kilns, saw mills and poachers’ camps, halt illegal land encroachment, and rescue captured wildlife. They trek through dense forest and on unknown stretches of river in search for illegal loggers and dangerous wildlife poachers. Just the knowledge of our rangers’ constant presence in the forest often serves a deterrent to poaching and illegal logging. Wildlife Alliance facilitates zoning and demarcation of land for local communities so families can claim enough land for permanent agriculture or other livelihoods. This is a participatory process that represents the first step in engaging communities in the responsible management of their natural resources. We install visible markers on the ground so everyone can clearly see where the agreed boundaries are. This achieves two benefits: it provides the local communities with clear land ownership and also provides clear boundaries for strictly protected rainforest. Beyond these boundaries, no trees can be cut or burned. 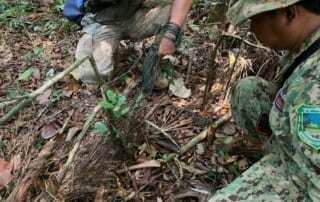 © Wildlife Alliance – In 2017, SCFPP rangers removed 21,589 snares from the forest floor. 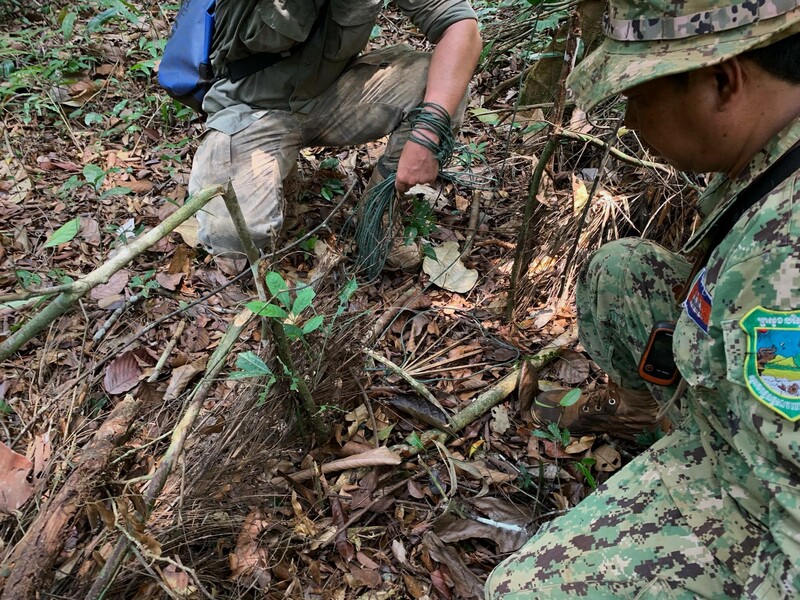 The greatest threat facing biodiversity in Southeast Asia, a region supporting more threatened species than any other comparable continental area, is hunting. 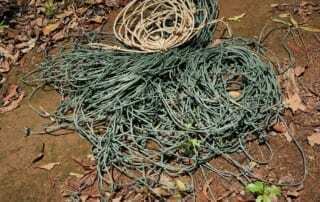 While many hunting methods are used, the predominant method is homemade snares. These traps are inexpensive to make and are easy to set but are highly detrimental to wildlife populations due to their indiscriminate nature. 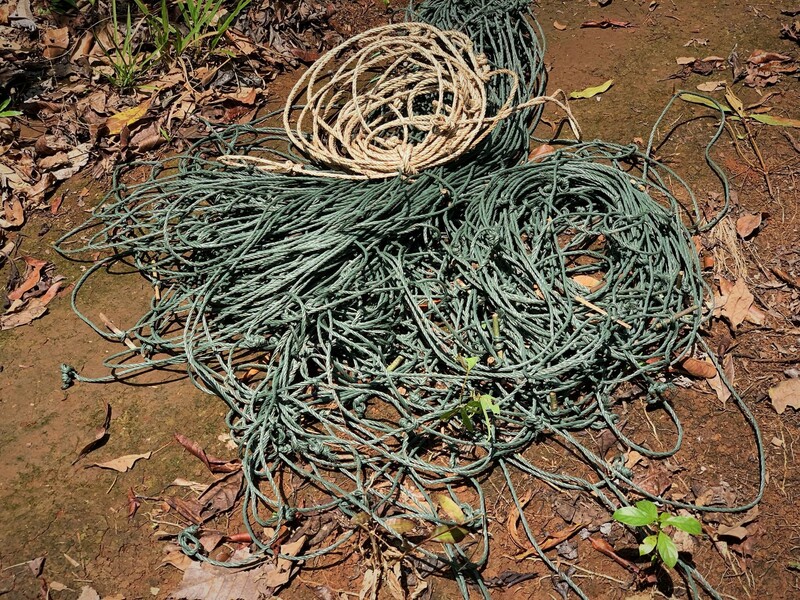 In addition to deterring people from setting snares, Wildlife Alliance Rangers have removed hundreds of thousands of snares from the Cardamom Rainforest floor. 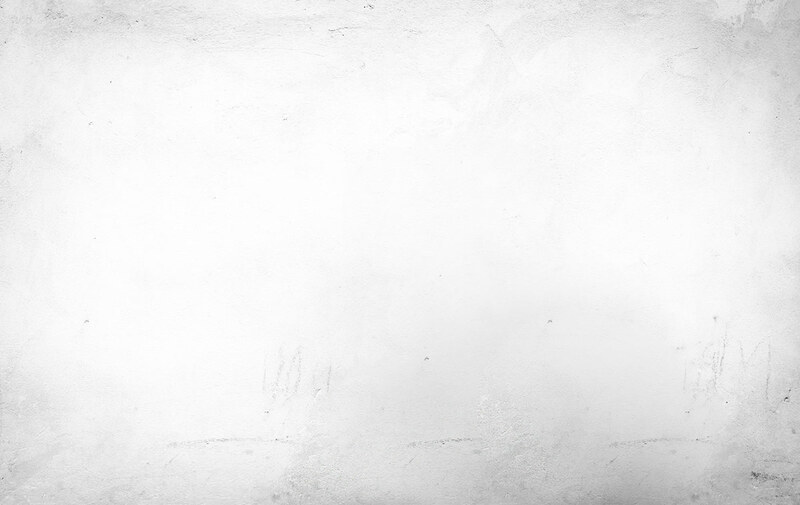 Support the men on the front line of conservation!